The Centers for Disease Control and Prevention (CDC) and the Food and Drug Administration (FDA) are issuing alerts about a recent E. coli outbreak that has been linked to chicken salad purchased from Costco. So far 19 people in seven states have fallen ill. Although no deaths have been reported as of yet, five people have been hospitalized and two are currently experiencing kidney failure complications. There is increased concern around this particular outbreak because the E. coli strain is one that produces Shiga toxin—a poison that acts similar to ricin. Specifically, the infections appear to be the result of customers who ate rotisserie chicken salad that they purchased from Costco within the past week. In response, Costco has stopped the production and sale of the product in question and anyone who has purchased it recently is advised to check the label. If the chicken salad has the item number 37719 on the label, it should be disposed of immediately. As an additional precaution, the CDC is urging anyone who has purchased rotisserie chicken from a U.S. Costco store on or before November 20 to dispose of it even if no one appears to have gotten ill. Although this case comes on the heels of a recent E. coli outbreak from Chipotle restaurants, the two are not related. The CDC has determined that the strain from the Chipotle outbreak (strain 026) is different from the one Costco is currently dealing with (strain 157). It is not clear yet which ingredient in the chicken salad is responsible for the E. coli transmission and the investigation is ongoing. The chicken salad in question has a shelf life of around three days, which appears to limit the window in which customers could become infected. Still, health authorities are not taking chances, especially since this strain is more dangerous than previous ones. The Chipotle outbreak, for instance, infected 45 people and resulted in some hospitalizations but there were no reported cases of kidney failure. The Costco outbreak has less than half that number of victims and two cases of kidney failure. People who become infected with Shiga toxin-producing E. coli tend to start showing symptoms within three to four days. Bloody diarrhea, fever and abdominal cramps are to be expected along with an increased risk of hemolytic uremic syndrome (HUS), a form of kidney failure that E. coli can sometimes cause. Symptoms of HUS include pale skin tone, fatigue and irritability, reduced urine output, small unexplained bruises, and bleeding from the nose and/or mouth. Anyone experiencing symptoms of HUS are urged to seek medical attention immediately. Costco is currently providing full cooperation to health officials as they try to determine the exact source of the outbreak. “Advice to Consumers,” Centers for Disease Control and Prevention web site, November 24, 2015; http://www.cdc.gov/ecoli/2015/o157h7-11-15/advice-consumers.html. “E. Coli Signs and Symptoms,” Centers for Disease Control and Prevention web site, November 20, 2015; http://www.cdc.gov/ecoli/2015/o157h7-11-15/signs-symptoms.html. Fox, M., “Throw Out the Costco Chicken Salad, CDC Says,” NBC News web site, November 25, 2015; http://www.nbcnews.com/health/health-news/costco-chicken-salad-sickens-19-e-coli-n469161. 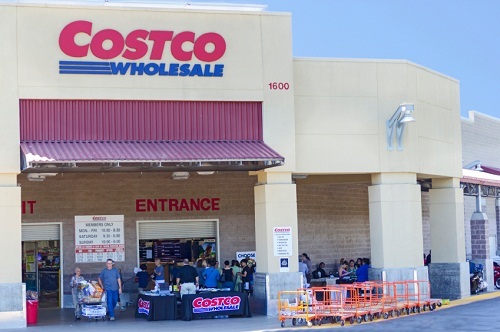 “Multistate Outbreak of Shiga Toxin-producing Escherichia Coli O157:H7 Infections Linked to Costco Rotisserie Chicken Salad,” Centers for Disease Control and Prevention web site, November 24, 2015; http://www.cdc.gov/ecoli/2015/o157h7-11-15/index.html.